If these factors are not taken into consideration, the investments are bound to be haphazard, devoid of any goal or purpose, or worse, downright wrong. Age: The age factor is a very crucial one in any investment decision. The choice of investment instrument will depend on you age. If you are young, say, 30 years of age, you may not have many financial responsibilities and, therefore, your disposable income would be higher. Being young, your earning life is more and, therefore, your risk-taking ability is higher. So you can invest a higher proportion of you income in risky assets such as equities. Also, you can wait longer period of time for your investments to bear fruit. This allows you to choose long term investments such as ULIPS, ELSS, equity-oriented mutual funds, SIPs, etc. A person in his late 40s or early 50s does not have such a choice as his responsibilities are higher, earning life is lesser, risk tolerance is lower and financial needs are different due to the approaching retirement. Risk appetite: It is essential to understand your risk appetite before making any investment decision. The risk tolerance level differs from one individual to another and depends on the income level, financial responsibilities, current liabilities, etc. Generally speaking, the risk appetite of a person with higher disposable income will be higher than a person with lower disposable income. A family person having a family of six persons (spouse, two children, parents and himself) has higher financial responsibilities than a person with a nuclear family consisting of his spouse and himself. If the income levels of both these persons are same, the risk taking ability of the former would be much less than the latter. As a result, the former would prefer to put his money in moderate to low risk instruments such as bank fixed deposits, bonds and debt funds, while the latter would go for equity and equity-oriented investments. Objective: The objective of investment is an important factor to be considered before investing. If the objective is to create a corpus for children’s education or marriage, the consideration of safety of capital is paramount. In which case, the obvious choice would be fixed deposits, bonds and debt mutual fund schemes. 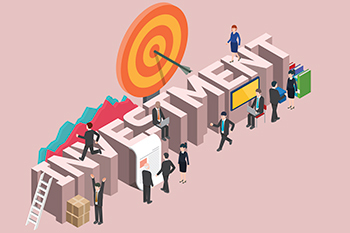 However, if the objective of investment is to take risk and seek capital growth aggressively, the obvious choice would be to invest in equities and equity-oriented instruments.